What better way to spend mother’s day than matching with your little one! With brands bringing out more and more of their hit styles in miniature form, there’s no time like the present to add some matching shoes to both yours and your little one’s wardrobes! Here we’ve rounded up our favourite mini-me styles for every occasion, from a day at the beach, to the school run and everything in between. The Adidas 80s’ Continental has been one of the most popular silhouettes of the last season, and its popularity shows no signs of letting up. 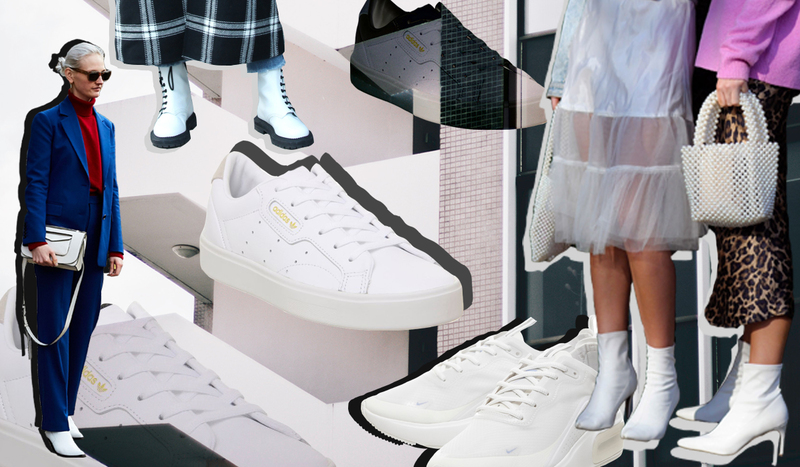 They are the perfect everyday trainer for all ages, combining comfort and style in a classic on-trend shape. This iteration comes in a pastel pink, though both the adult and junior ranges also come in black, white and mint green, so there’s a colour to suit everyone. For those how want a bit more pattern in their lives, you can never go wrong with animal print! 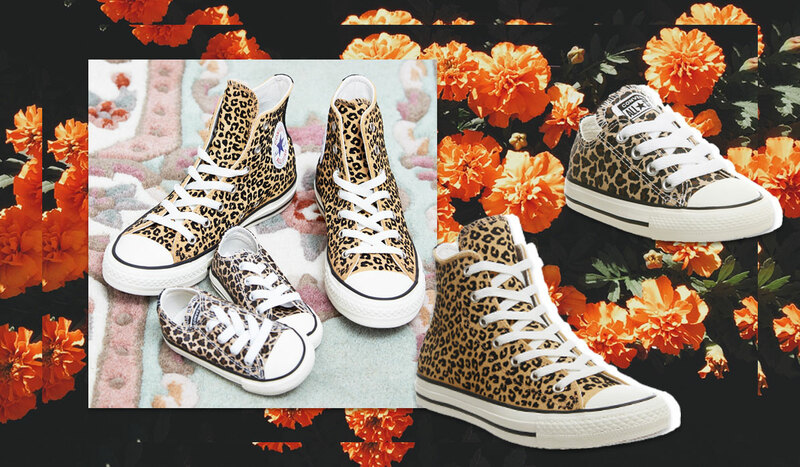 These leopard print converse are the ultimate in comfort-cool, and will looking effortless paired with denim jeans and a plain top. The low style of the junior shoes ensures that putting on and taking off will be a breeze. 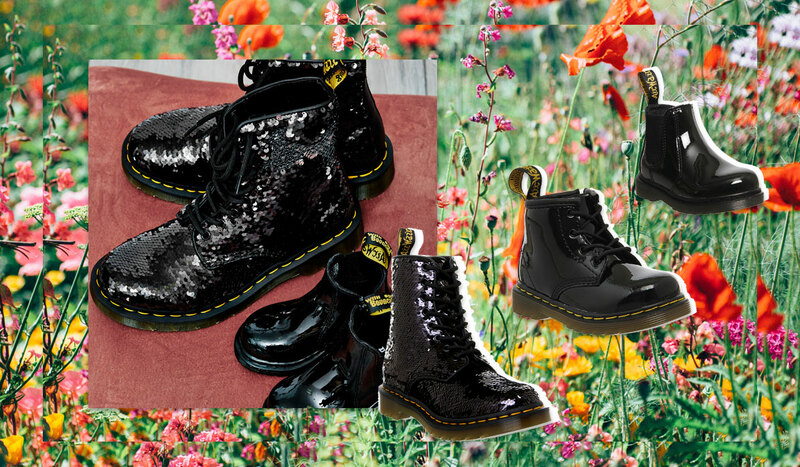 Doc Marten’s are one of our favourite brands, and now we have some of our better selling sizes, but smaller! Both the lace-up and slip on boots are perfect for a day at the park, rainy winters and summer walks. The infant laces up boots have an added side zip to ensure that no playtime is lost tying up shoelaces. For the adults, the sequin lace up boots add an extra bit of sparkle to a classic silhouette, so you can style them from day to night with ease!